Starkey Hearing Technologies was founded in 1967 by William F. Austin, with the mission, “Alone we can’t do much. 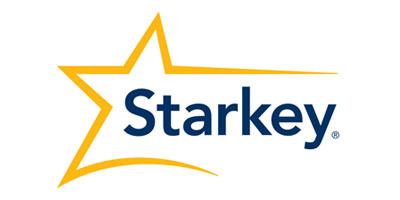 Together, we can change the world.” Starkey is an American manufacturer of hearing aids, based in Minnesota. Starkey partners with the Starkey Hearing Research Center, based in Berkeley, California, to produce innovative hearing devices. From invisible hearing aids to the Edison Award-winner, Halo Made for iPhone hearing aid, Starkey has continually produced ground-breaking hearing aids. Livio™ AI is the world’s first hearing aid to provide both superior sound quality and the ability to track body and brain health. Featuring integrated sensors and artificial intelligence, Livio AI redefines what a hearing aid can do. Thrive gives you the power to easily monitor your body and brain health via your smartphone. 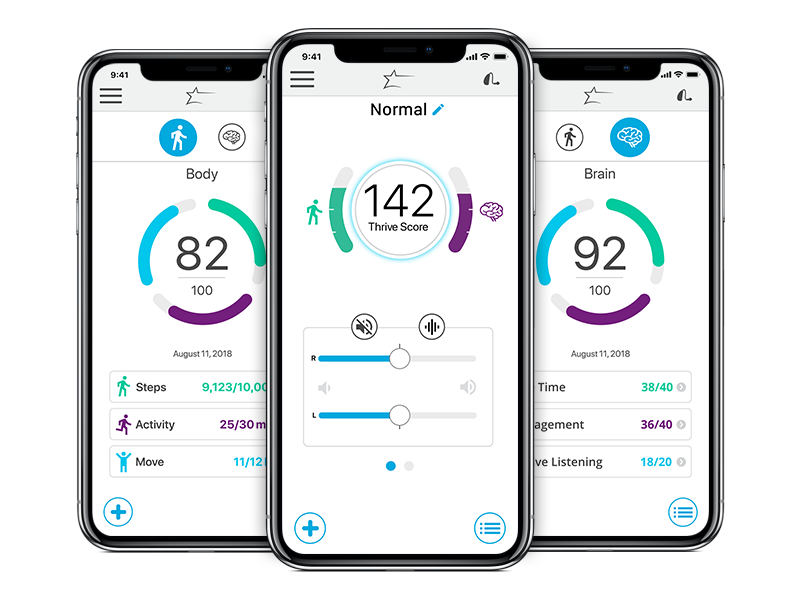 Compatible with both Android and Apple smartphones, the Thrive app gives you a Body Score, a Brain Score and an overall score combining the two, called a Thrive Wellness Score. 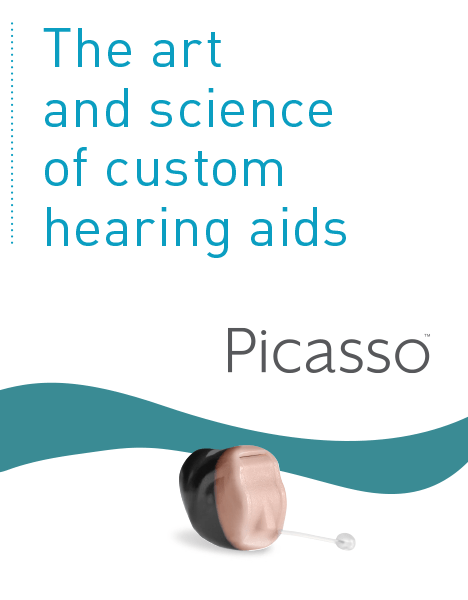 Built on our Synergy platform, Picasso hearing aids feature our new enhanced sound quality called Hearing Reality. It better replicates natural hearing to provide unprecedented sound quality. Picasso wireless models are fully compatible with all SurfLink accessories. With Acuity Directionality and Speech Shift, Muse provides wearers with improved speech audibility in difficult listening situations. The ultra-fast Synergy Platform gives wearers faster transitions to adapt to new sounds, as well as settings that help the brain adjust to different sounds in the wearer’s environment. For music lovers, Muse iQ offers special music listening functions, capturing the frequencies unique to music. As with previous Starkey hearing aids, Muse is a wireless hearing aid. Through a wireless connection with SurfLink Mobile 2, Muse iQ hearing aids provide wearers with streaming capabilities. SurfLink Mobile 2 is a hands-free cell phone transmitter, assistive listening device, media streamer, and heading aid remote all in one. Whether it is a phone call, music, or movies, Muse hearing aid wearers receive clear, unfettered sound directly from the source to their ears. Muse iQ hearing aids also offer features to provide comfortable listening, from distortion-free audio to comfort in loud noise to clarity for soft sounds. To address feedback, Muse offers feedback cancellation to eliminate buzzing and whistling sounds. Muse iQ is covered in Surface NanoShield, to protect the aid’s electronic components from moisture and other debris. For those who experience tinnitus, Muse iQ is equipped with Starkey’s Advanced Multiflex Tinnitus Technology. Starkey’s Muse iQ is available in the following styles: completely-in-canal, in-the-canal, in-the-ear, receiver-in-canal, and behind-the-ear. The Halo, upgraded in 2016, builds upon the successes of the original Halo Made for iPhone hearing aid, which won the 2015 Edison Silver Award. The Halo 2 is designed to help wearers stay connected to the people and things they love most. 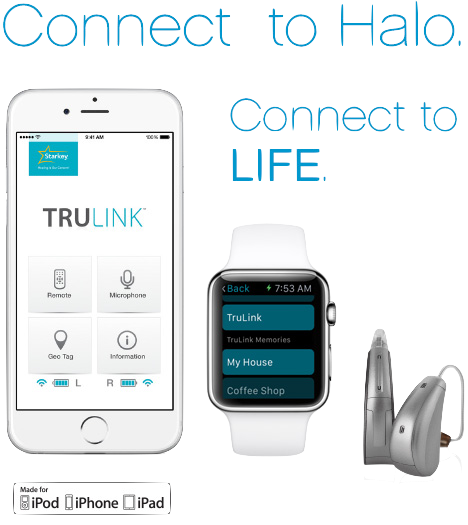 Utilizing the TruLink Hearing Control app, Halo connects to the iPhone, as well as iPad, iPod touch, and Apple Watch. Through this connection, Halo gives wearers a seamless listening experience through a special GPS feature. By activating the iPhone’s GPS, Halo archives and then automatically adjusts to user’s preferences in different locations. Halo also provides wearers with streaming capabilities, delivering FaceTime, phone calls, music, and other media from the iPhone to the Halo with clarity. Halo offers improved speech recognition and directional features such as Acuity Directionality and Speech Shift. With SoundSpace on the TruLink app, wearers are able to make minor adjustments to sound quality in different listening environments. For music lovers, Halo provides music listening features, adjustable through the TruLink app. Feedback is controlled with the feedback cancellation system, while people who experience tinnitus benefit from the Advanced Multiflex Tinnitus Technology. Halo is also compatible with select Android devices. The Halo iQ hearing aids are available in receiver-in-canal and behind-the-ear styles. Starkey offers a number of other hearing aids, in styles that include invisible, receiver-in-canal, completely-in-canal, behind-the-ear, and in-the-ear. For first time hearing aid wearers or people new to hearing amplification technology, Starkey offers a line of hearing amplifiers that may be worn invisibly.